Whenever you visit a new place there is always the question about transport. What is the best way to get from this place to the other place? Here are some hints about the transportation in Plovdiv. Buses are pretty much the only available public transport in the city. In comparison to Sofia Plovdiv is a smaller city, therefor it doesn’t have an internal tram or subway network. Nevertheless, the buses in town are fairly regular, especially on workdays, and they can get you to almost anywhere. Usually, the first buses in the morning start travelling as early as 5:30-6:00 AM and the last ones in the evening run until 10:00-11:00 PM (depending on the season and the day of the week). The ticket price is 1 lev (€0,50) and you buy it on the bus itself. Below you can find a short and simplified list of the most frequently used bus lines, which run between the center of town (the central bus stop next to Trimontium/Ramada Hotel and the Post Office) and a few of the most important locations within the city, which aren’t walking distance away. 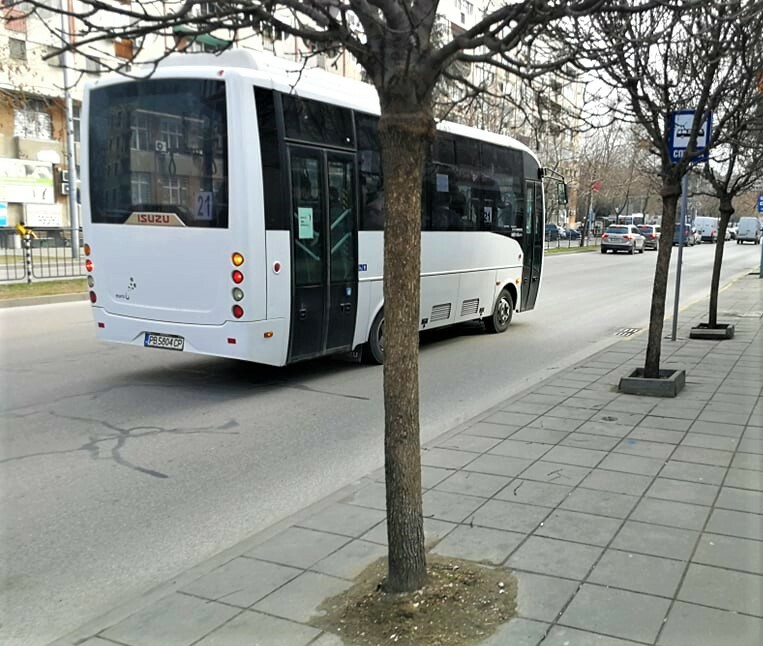 For a complete and thorough list of Plovdiv’s buses and their routes and timetables (in English) you can check out this website: https://www.eway.bg/en/cities/plovdiv/routes. Plovdiv two main bus stations and the Central Railway Station are all located within a hundred meters of each other in the South-Central part of town. Keep in mind that they are actually ~20 minutes away from the Main Street by foot, so sometimes the bus ride might take roughly the same time a walk would. Still, if you want to take a bus, you need to know that there are three main lines travelling between the stations and the center of town – 7, 20 and 26. If you are travelling from one of the stations to the center you should take the bus from the stop on the Southern side of Hristo Botev Blvd. It is right in front of the Central Railway Station’s huge yellow main building. And if you are travelling from the center to one of the stations, take the bus from the stop on the Western side of Tsar Boris III Blvd. It is next to the Post Office and Trimontium Hotel. Either way, the distance between the two locations is five stops. 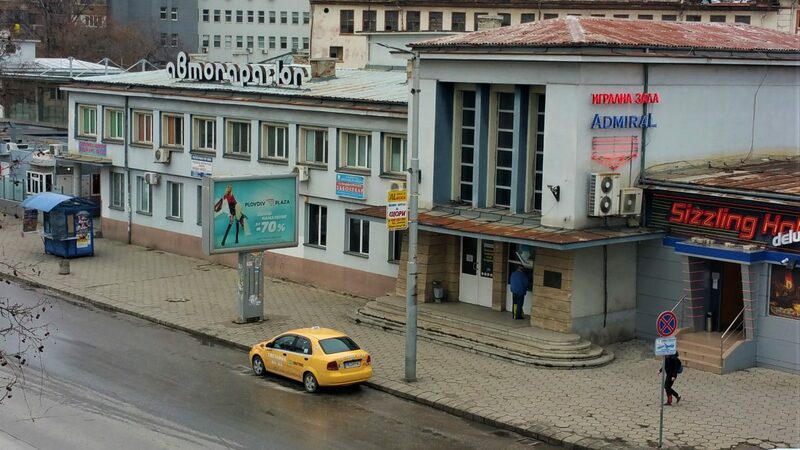 Although less frequently used and much more shabby-looking than the other two bus stations, Bus Station North is still the main launching pad if you want to take a bus trip to Veliko Tarnovo or Pleven for instance. It is located quite far from the center, in an industrial area in the Northern part of town. The only bus line, which can take you straight from Trimontium Hotel to there is 99. When travelling from Bus Station North to the center, take the bus at the stop right in front of the station. When travelling from the center to Bus Station North, take the bus from the stop on the Eastern side of Tsar Boris III Blvd. (across Trimontium Hotel and the Post Office). The distance between the two locations is nine stops. Plovdiv’s Rowing Canal is the biggest one in the Balkans. It often hosts major international rowing competitions such as the World cup or the European championship. Furthermore, the Plovdiv Stadium is located just next to the Canal. Although the Stadium doesn’t host sports events anymore, it’s the venue where the big rock festival „Hills of Rock“ is held annually. 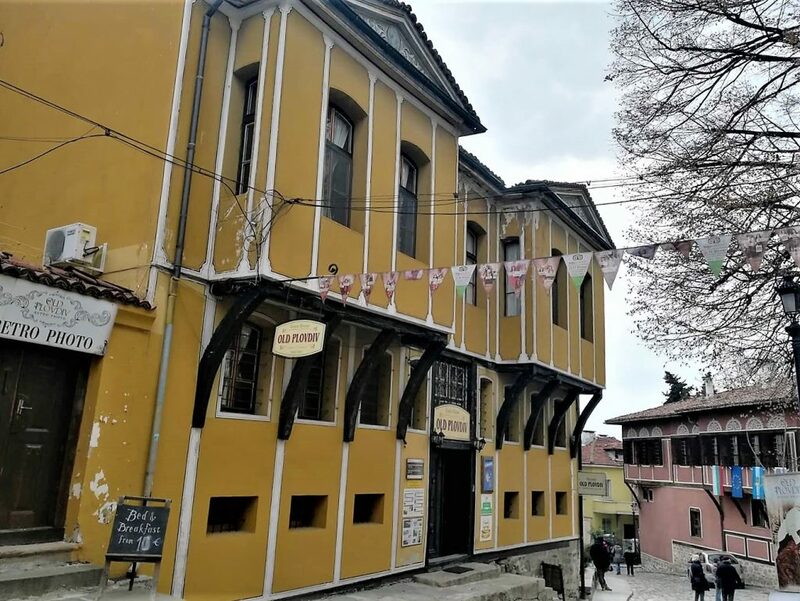 If you are in Plovdiv specifically because of one of these events or if you simply want to take a walk or a bike ride on the coast of the Canal, you can get there by taking bus 37 from the stop on the Eastern side of Tsar Boris III Blvd. (across Trimontium Hotel and the Post Office) and travelling for nine stops. Alternatively, you can take bus 17 from the Central Railway Station and travel nine stops to the Stadium or ten/eleven stops to the Canal itself. The Multifunctional Sports Hall is located in the suburban neighbourhood Thrakia and often hosts various sports events (volleyball, basketball, cycling etc. ), as well as concerts. The two bus lines, which can take you there from the center, are 4 and 99. Take the bus from the stop on the on the Western side of Tsar Boris III Blvd. (next to Trimontium Hotel and the Post Office) and travel four stops (with 99) or five stops (with 4). On the way back to the center take the bus from the stop across the Sports Hall. 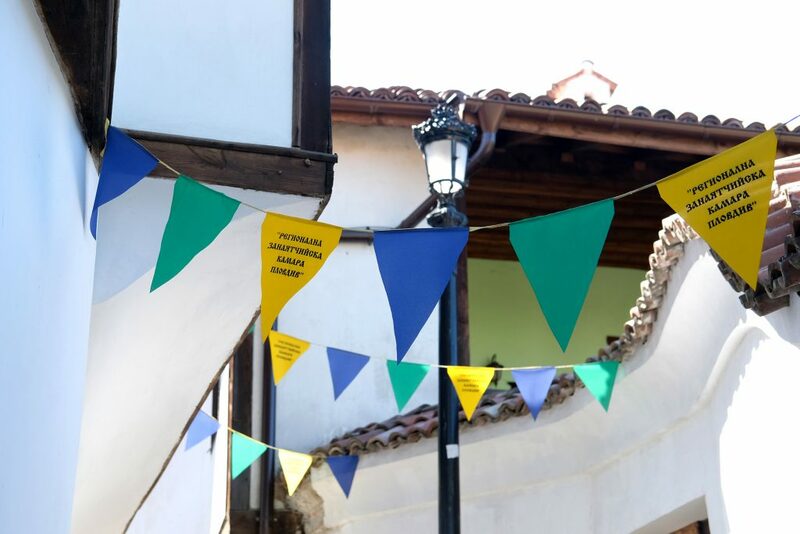 The Plovdiv International Fair is located just North of the Maritsa River, next to the so-called „Karshiaka“ neighbourhood. 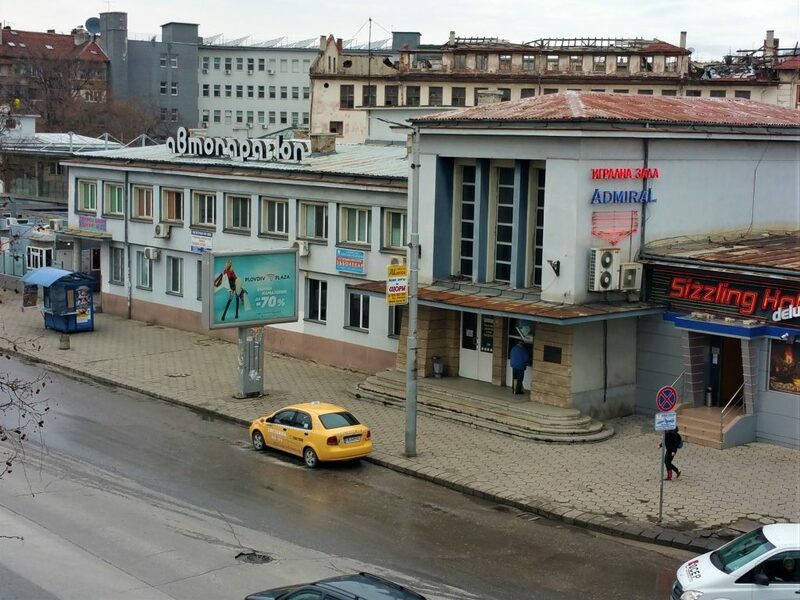 Some of the biggest hotels in Plovdiv (Grand Hotel Plovdiv, Hotel Maritsa, Hotel BLVD7 etc.) are also in direct proximity. You have many options to reach it by bus – lines 1, 4, 7, 9, 27. Take any of these from the stop on the Eastern side of Tsar Boris III Blvd. (across Trimontium Hotel and the Post Office) and travel four stops. On the way back take the bus from the stop next to Hotel Maritsa, across from the Fair’s main entrance. Just as it is with many other areas of our city (and country), we are still developing our modern, sustainable public transportation system. Therefore, we have some brand-new buses, but also many old ones remain to serve faithfully. This is the reason why not all public transportation vehicles are compatible with our modern city-wide GPS system. The good news is that the old buses are rather evenly spread among different routes. The bad news? You should not rely too much on the bus stop dashboards, because they don’t always function properly – and when they do, they don’t always contain a full list of the buses. Sure, all the lines listed on it will arrive on time. But we also have the „stealth buses“, which are not a part of the system. So it may happen that the bus you are waiting for arrives in 3 minutes, and you don’t have to wait for another 15 (as the schedule on the bus stop suggests). Actually, this is not so bad because usually it is a nice surprise and the worst thing that can happen to you is just wait the amount of time that is on the table. Still, if you like predictability and punctuality, Moovit is just the thing for you. It is an application for your mobile phone, which provides easy navigation through the public transportation system of Plovdiv. It functions simply – you just enter where you want to go and according to the GPS location of your mobile it shows you step by step directions to the bus stops, schedules of the buses and explanations about all the connections that you eventually must make. A cool addition is that you can also choose between different routes according to number of bus changes, time available and other criteria. Moovit is a mix of modern technology and community effort, so it is much more reliable than the municipality timetables. Still, keep in mind that it is not infallible. In any case, it is one of the best ways to get from one place to another – especially if you feel lost and don’t have any idea how to navigate the intricacies of our local transportation jungle. If you are in a rush and you don’t feel like waiting for a bus, or if the bus routes are simply too confusing for you, then there is the obvious alternative transport – taxis. In the minds of many tourists – especially those from Western Europe – taxis are not a desirable option because they are quite more expensive than public transport. While this might be true in London, Paris or Berlin, in Plovdiv it’s rather different. Taxi fares here vary between 0,75-0,90 lev/km, plus a starting fare, which is usually around 0,90 leva. This means that even if you take a ride from the center to the suburban neighbourhoods the price probably won’t exceed 4-5 leva (€2-2,50), considering that Plovdiv is a moderately sized city. 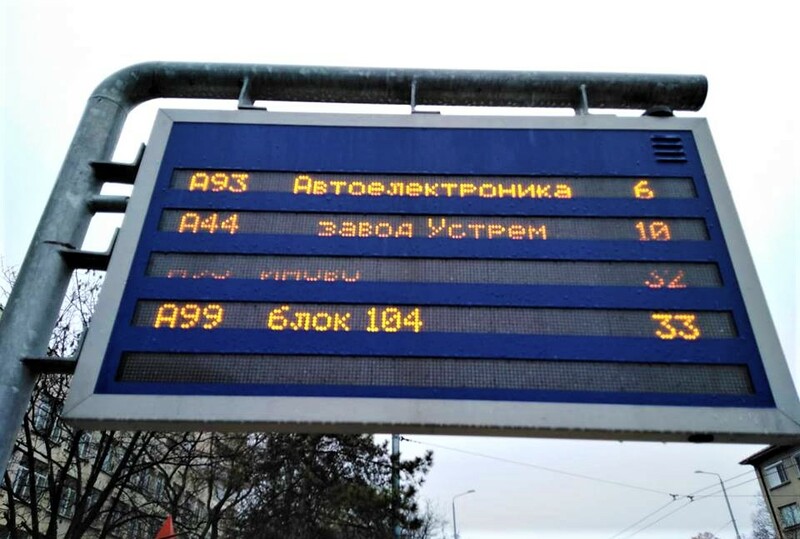 Within the central area of town (from the main boulevard Tsar Boris III to the bus/train station, for instance) it’s possible to get from A to B for as low as 3 leva (€1,50) under normal traffic circumstances. 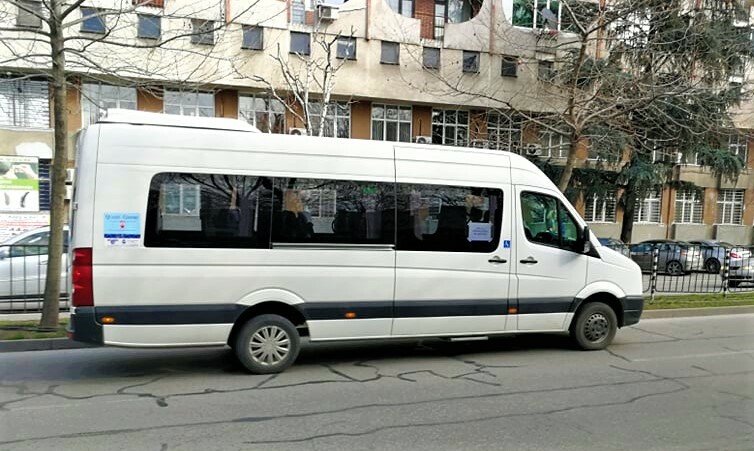 In short – in Plovdiv taxis are a fast and rather cheap alternative to public transport. There are two ways to get a taxi. The first option is to dial a taxi company and order a car at your current location (don’t forget to inform the operator about the destination too!). It usually takes 3-5 minutes for the driver to arrive. The phone numbers of the biggest local taxi companies are as follows: 6155, 6665, 6160, 9199, 6116. The local phone communications code is 032 and it must always be inserted before the number you wish to dial – for instance 032 6665, 032 6155 etc. Your second option is to stop a taxi on the street by waving your hand (or, rather, simply enter one, if it’s already parked). This is usually the simpler variant, since there are many „taxi stops“ around the city. You will easily recognize the taxis themselves, as they are all typically coloured in yellow. However, if you choose this option, you should pay attention not to get inside of a „scam cab“ (or as they are called in the local slang „koparka“), which looks like and ordinary taxi, but charges double or triple the fare. In order to avoid that simply check the price list that every cab driver is obliged to put on a visible spot (usually on of the car windows). If the price exceeds 1 lev/km, you should probably look for another taxi. You should also make sure that the price counter is put on a visible spot inside the car. Alternatively, you can check the dial number of the taxi company, which is printed in large digits on the outside of the car – if it’s among those, mentioned in the previous paragraph, it’s a sign that the taxi is a legitimate one. Sometimes taking a taxi might prove to be somewhat problematic, since not all taxi drivers are fluent in English. This problem has been largely overcome in the past few years, so nowadays it’s rather unlikely to run into such a driver. Nevertheless, it’s good to be prepared. The easiest way to avoid misunderstandings is to have a city map open on your phone (or have a paper map of the city), which allows you to show you destination to the driver, in case he is unable to understand where you want to go. 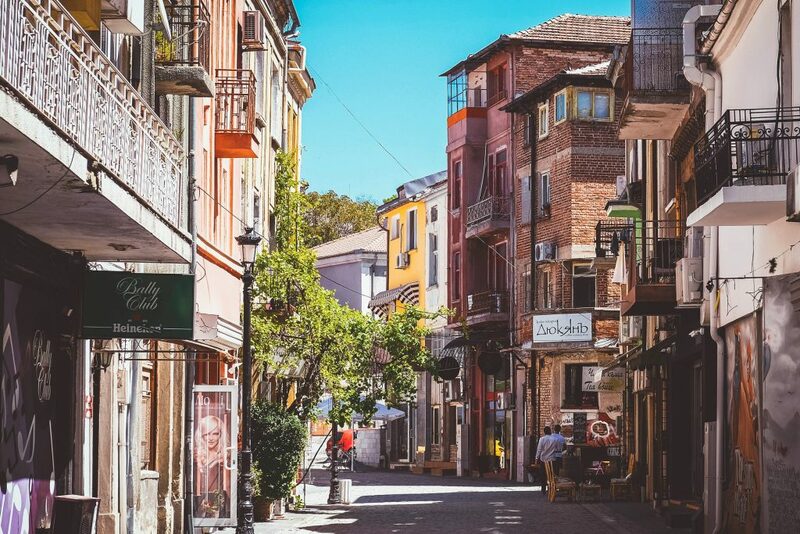 Last, but not least, you can also take a taxi from the Plovdiv airport to the city. This is a convenient option, because there is no regular bus line and the distance is around 10 km. Everything said so far about taxis applies here as well. Sometimes you may be approached by drivers, offering you transport from the airport to the city (or vice-versa) for a fixed fare (usually around €20-30). It’s recommended NOT to accept such offers, because they are most likely a scam. A regular taxi will get you from the airport to the city for 15-20 leva (€8-10), depending on the traffic. Again, make sure to check the price list, before you get in. 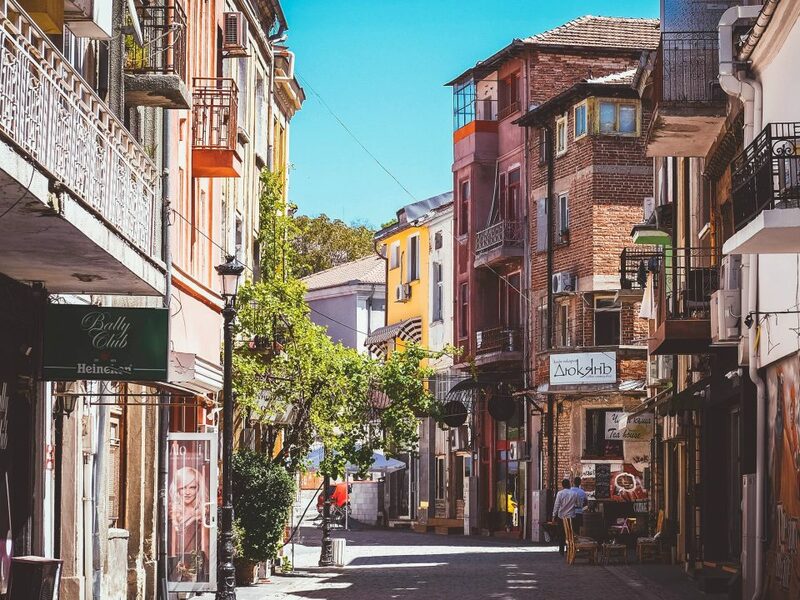 Apart from buses and taxis, Plovdiv can offer on more type of transport – the so-called routees, or – as they are known in the local slang – „marshrutki“. This is a special local way of transportation. It is one of the faster ways to get somewhere and sometimes it is the only public transportation that gets to a certain point in town. The routee is a 12-15 seat van (always white in colour) that has a table with number of the line on the windshield, on the sides and the back. There is also the sign МАРШРУТНА ЛИНИЯ written in big Cyrillic letters above the windshield. This way of transportation is a mix between the taxi and the bus. When you see one you raiseyour hand as if you are hailing a cab and the van stops, so that you can get in. We have 4 lines in town (1, 4, 5 and 8) the ticket for lines 1 and 4 is 1 BGN and for lines 5 and 8 the price is 1.5 BGN because they get to two villages nearby Plovdiv. Make sure not to confuse bus lines 1 and 4 with the routee lines 1 and 4, since they have entirely separate routes. 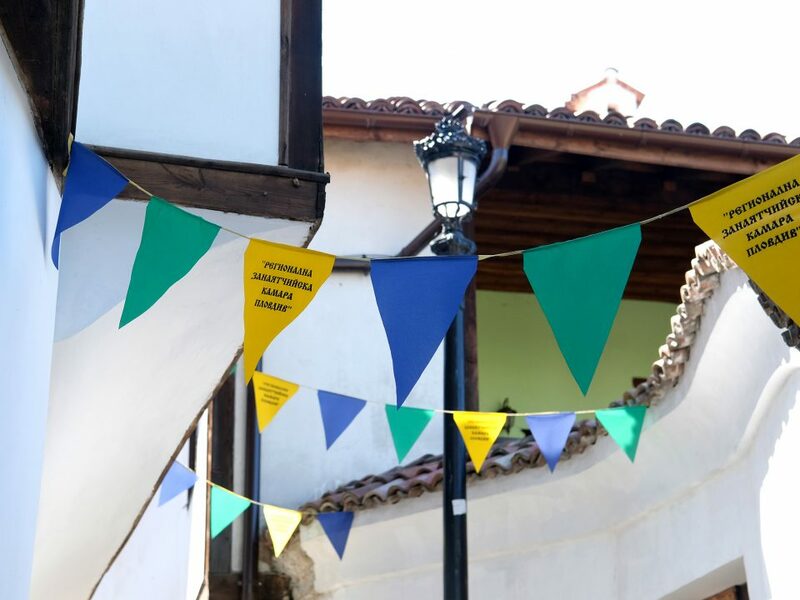 If you want to see the route of the routees and eventually use them, you can check https://www.eway.bg/bg/cities/plovdiv/routes. Unfortunately, this is the only way that you can get the schedule for this type of transportation since it is operated by a private provider of transport services. Another important thing you should know is that the routee vans do not always stop on the bus stops, so make sure to let the driver know when you must get off, in order to be sure that your trip ends as planned.